What's scarier than this freak parade of masks on Halloween night? The head-splitting, toilet-hugging hangover we're all going to have Sunday morning. Especially with 1) Daylight Saving Time ending at 2 a.m., giving everyone an extra hour of partying, and 2) an alien head dome of Outer Space Vodka making the rounds. Mars Mule or Little Green Lemon Drop, anyone? 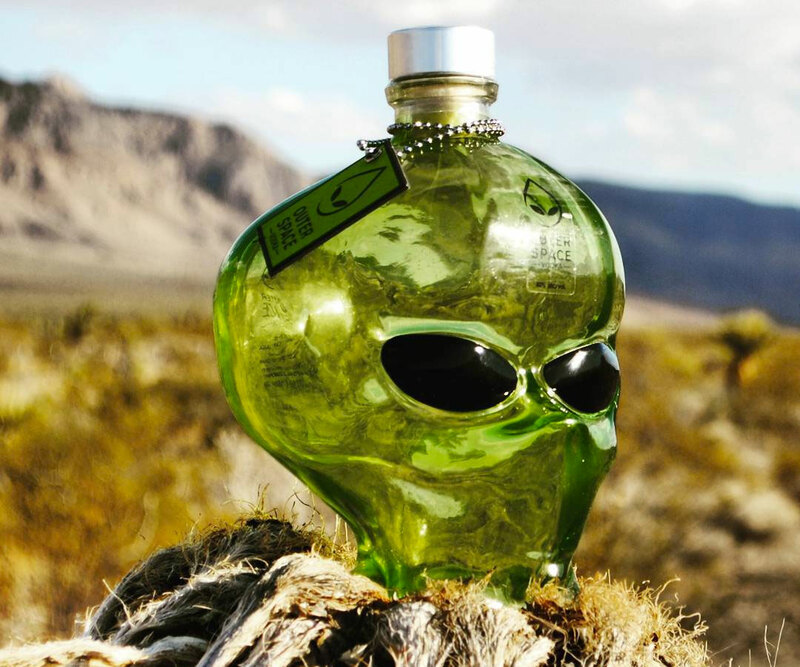 Of course, Outer Space Vodka doesn't actually come from outer space. OK, it comes from Illinois. Via Iowa. The vodka is made from 100% Iowan corn (gluten free, allergy fans!) 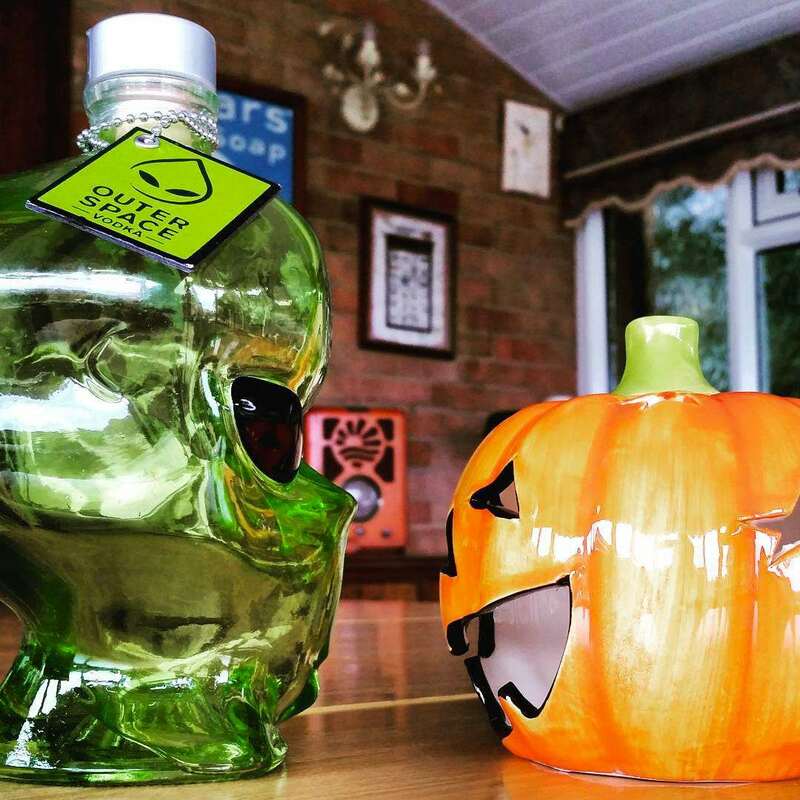 that's been distilled 5 times. 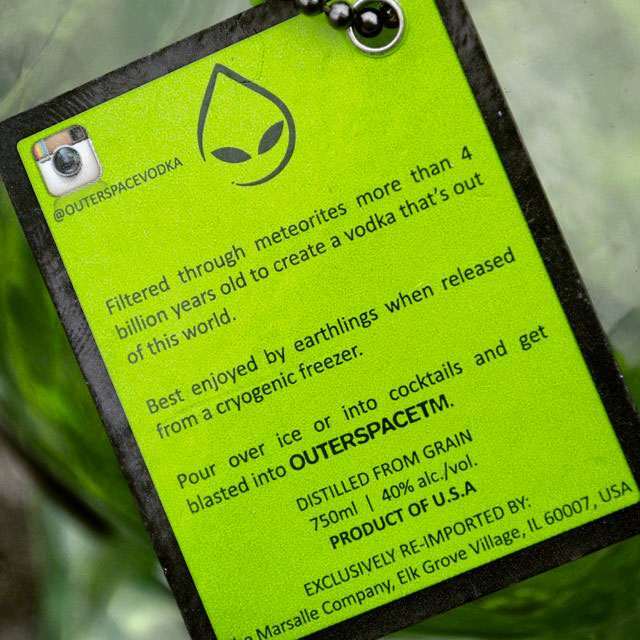 Then, in a process that either gave the liquor its name or gives its name some weight, Outer Space Vodka is filtered over meteorites from outer space. No joke. 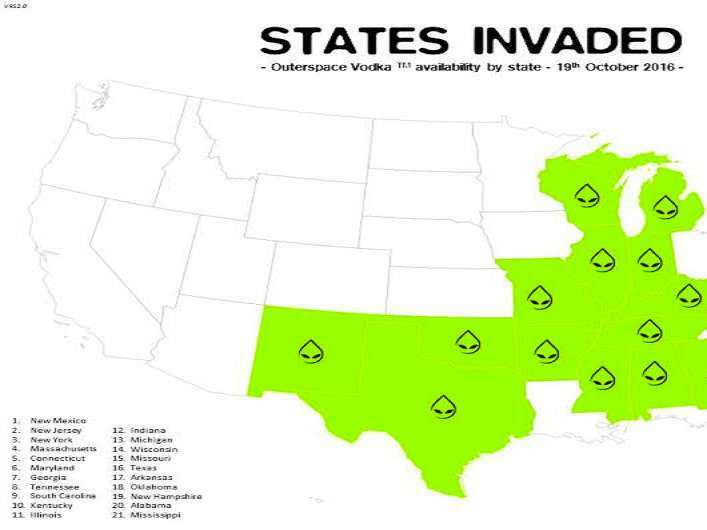 Outer Space Vodka launched in September, 2015, and is currently available in 50ml and 750ml sizes in hundreds of liquor stores across 20+ states (check out the map in the image gallery above). 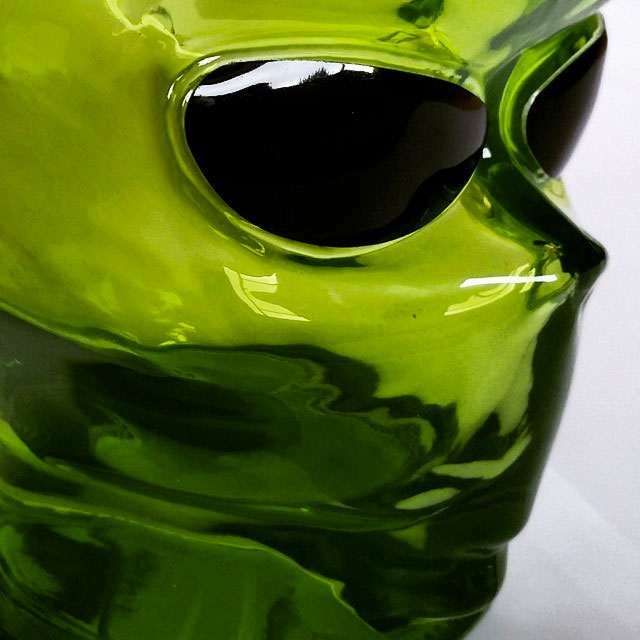 The company anticipates invading another 10 states by the end of the year.